"Mary hubburd Daughter of Sam^ll Hubburd and Sarah his wife was born may y^e 4 day 1712"
George Tolman (compiler), Concord, Massachusetts Births, Marriages and Deaths, 1635-1850 (Concord, Mass. : Committee on Printing, 1894), Births, Volume I, page 80, Mary Hubburd entry. 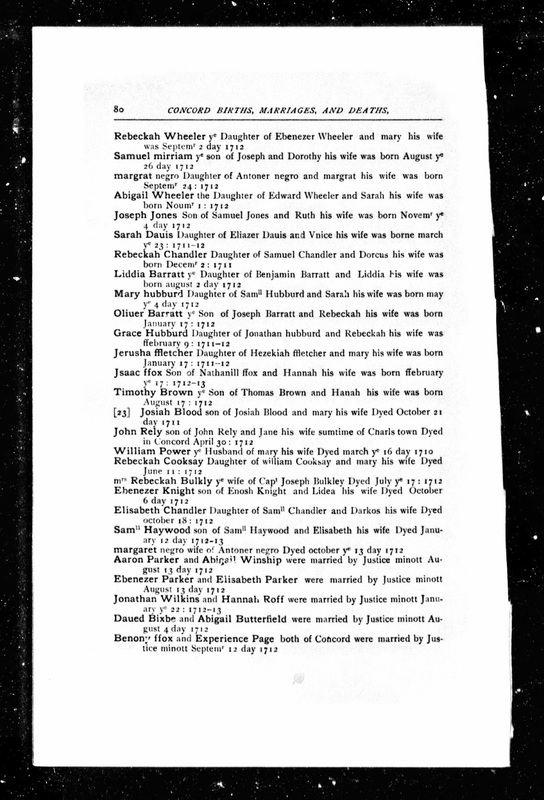 Mary Hubburd (1712-1754) was the second child of Samuel Hubburd (1687-1753) and Sarah Clark (1681-1720). She married Amos Gates (1706-1783) in 1732 in Concord, and they had five children. Amos and Mary (Hubburd) Gates are my 6th great-grandparents, through their son Simon Gates (1739-1803), who married Susanna Reed (1745-1833) in 1766, and resided in Gardner, Massachusetts.